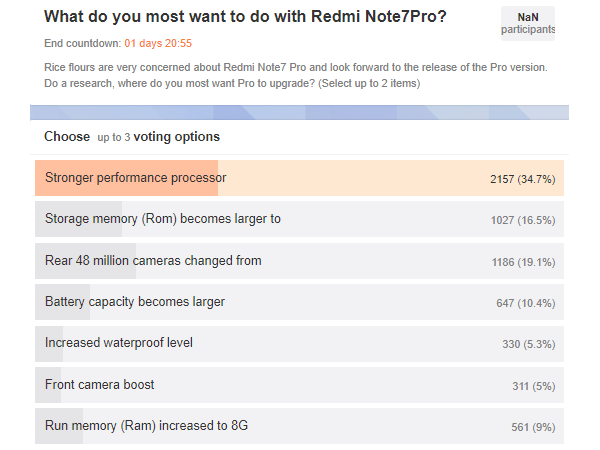 By far the most popular option (with nearly 35%) is faster chipset. And if rumors are true, people will get what they asked for – the Pro is said to be among the first phones with the Snapdragon 675. The runner up asks for improvements to the 48MP camera. The Pro will use the IMX586 sensor, rather than the Samsung one of the regular, but it's unclear if that one's actually better or not. At least it will probably get 4K video recording - the Snapdragon 660 can already support it, so it's a product strategy decision rather than one dictated by hardware capabilities. In third is the “more storage” option and that’s quite possible. 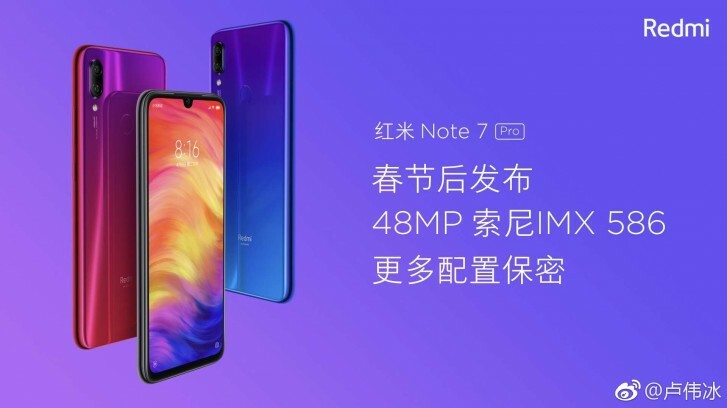 A rumor from yesterday claimed the Redmi Note 7 Pro will have a up to 128GB storage. The Pro model should come with 6GB of RAM (the smaller options will be dropped). People don’t sound too excited about 8GB of RAM, anyway. Mi is better than apple and Samsung. Best battery and affordable price, decent performance, okay display, dual 4g sim, so so camera. That's enough to be happy. I know I am not launching space X rockets with my phone, like most iPhone users do. Why not do better and have one popup ad for every click that you do on the UI?